Following installation of an AXYZ 6010 CNC router in February of this year, the Royal Shakespeare Company in Stratford-upon-Avon is said to have achieved considerable savings in production time and on outsourcing costs. The RSC is the foremost British theatre company, employing a staff of over 1,000 and responsible for around 20 productions a year, all of which require a variety of sophisticated scenic constructions that hitherto were crafted by hand. As with all AXYZ routers, however, the AXYZ 6010 machine can be supplied with a host of optional production tool enhancements. These include the AXYZ Auto Zone Management facility that ensures the material being processed is always held securely during the routing/cutting process and the A2MC machine controller with integrated AXYZ Vision System (AVS) for optimum accuracy and quality of cut. These are supplemented with the latest helical rack and pinion drive system. This features a multiple gear teeth configuration that helps spread the workload more evenly, leading to faster throughput times, reduced material wastage, quieter operation and ultimately a longer than normal machine life. 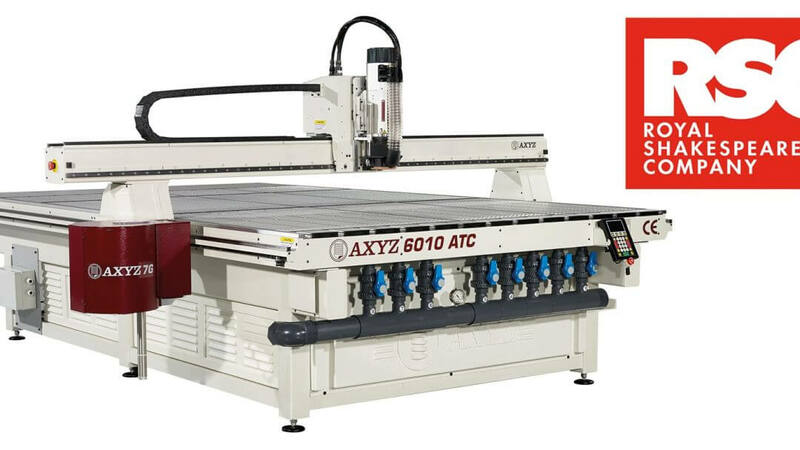 Learn more about the AXYZ Series and our range of CNC Routers.